SimLeader understands that it is not easy to re-learn how to drive with a disability. 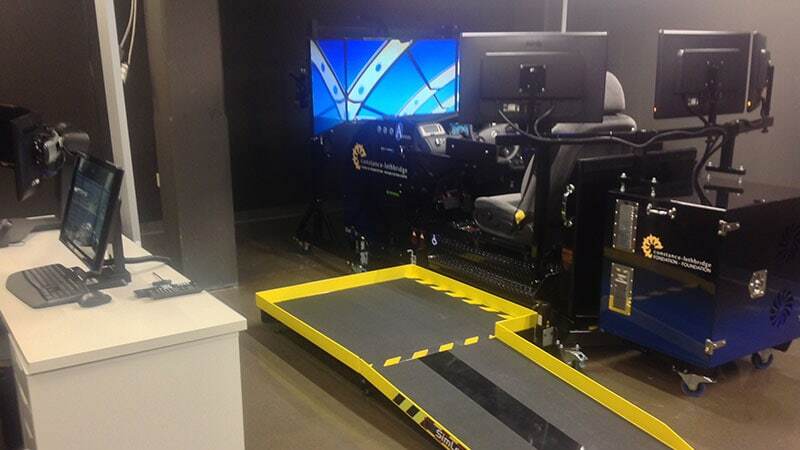 To facilitate driving rehabilitation, we offer the only simulator with more than 23 adjustment possibilities. We believe that the ergonomics of the simulator must adapt to the new reality of the patient, and not the other way around. The great flexibility of our simulator promotes a faster and more pleasant driving rehabilitation by breaking down some physical and psychological barriers. Our equipment puts forth new possibilities, rather than new constraints, regardless of the handicap. As SimLeader manufactures its simulators, it will also be possible for us to meet very specific needs. If the patient’s handicap requires a wheelchair, in addition to the pedagogical aspect of driving, we have designed a simulator to familiarize the patient with the reality of a wheelchair in an automobile. The transition to reality will be easier and safer for the patient.